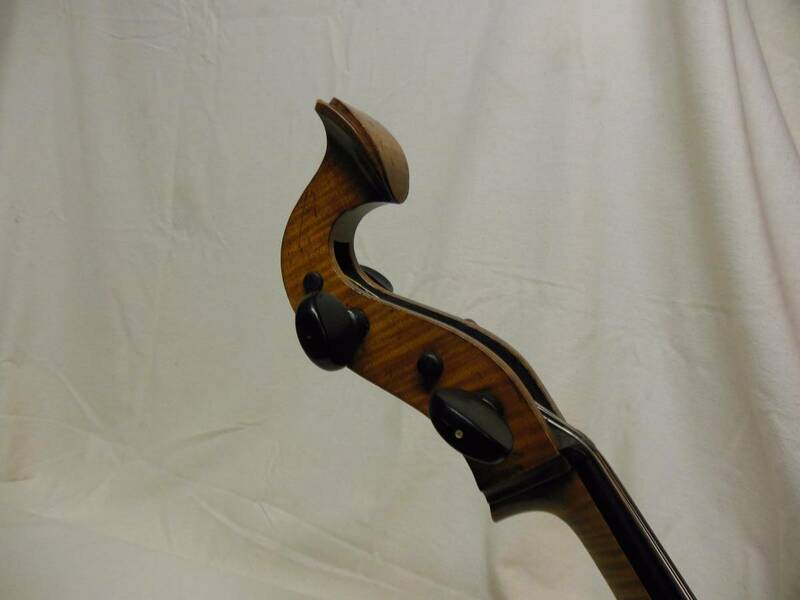 I spotted this cornerless cello on Craigslist. I've never seen one before! Yup, I saw it today and almost posted the link myself! Quite an interesting piece to show up right after the discussion of cornerless instruments on MN. 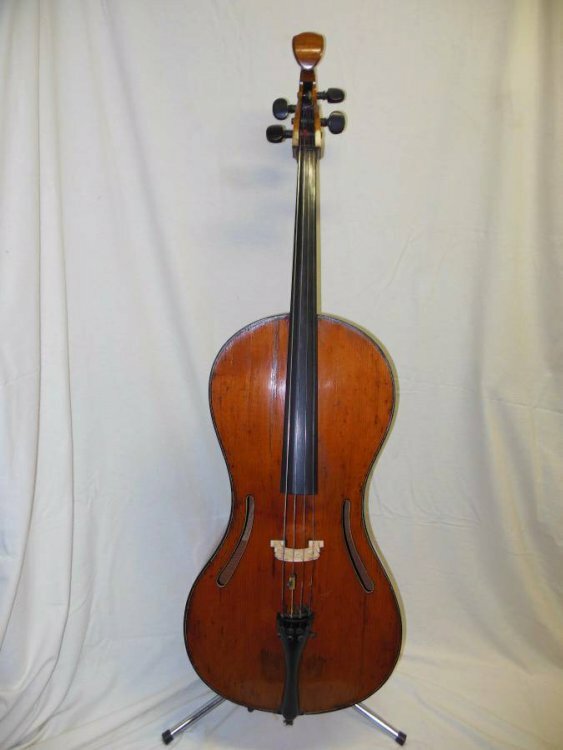 Look at this link the bass de viole is the same year, i wonder if it was converted to a cello. 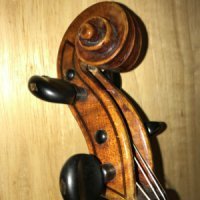 The cello on this page has a normal scroll. 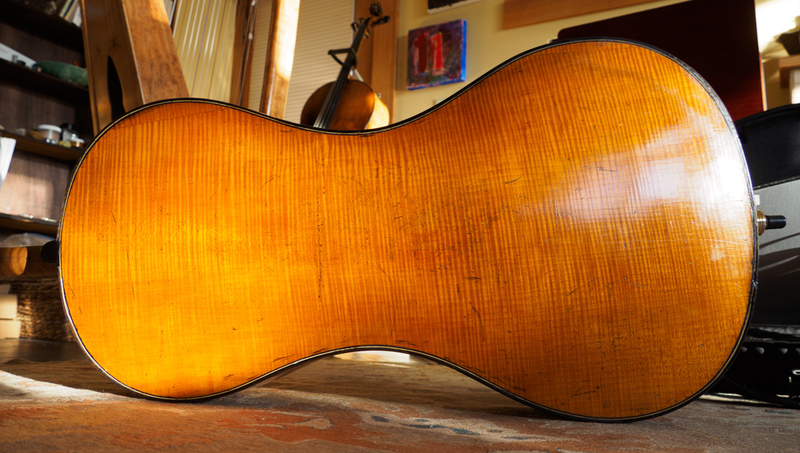 The difference to the instrument discussed before is in the homogenity of style; outline, soundholes and "head" of the pegbox are featuring straight forward the design of a particular period, not pretending to be something else. 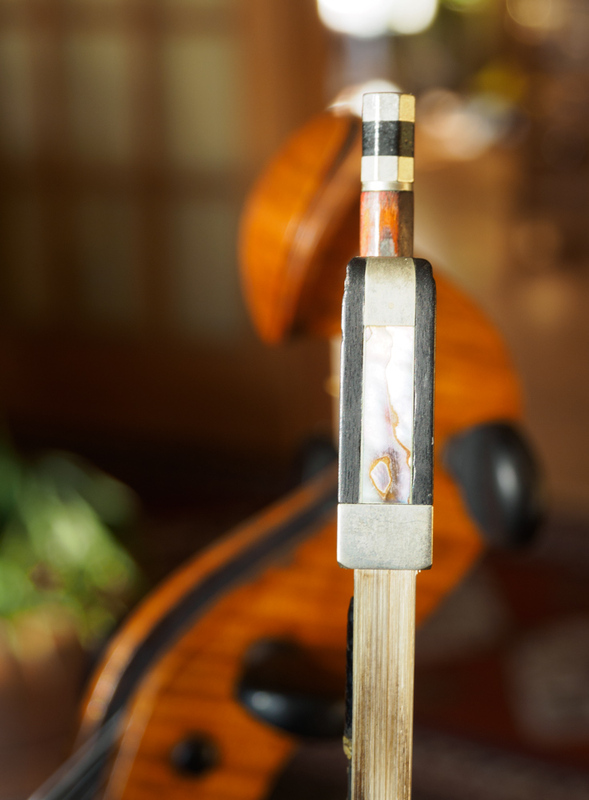 The cornerless Strad started life with a different outline and was altered to the actual shape later. 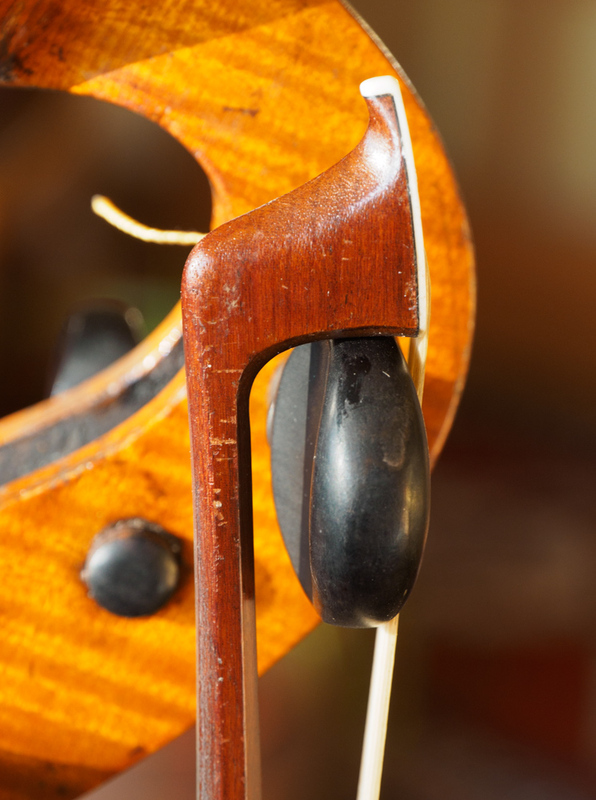 The cornerless Strad started life with a different outline? Sorry Blank face, which different outline? Was altered to what actual shape? Do you mean the Viola De Gamba? Or His Viol D' amour? He shaped celli as they are today. His patterns for bass are not corner less. I will add exactly his examples when I have time. 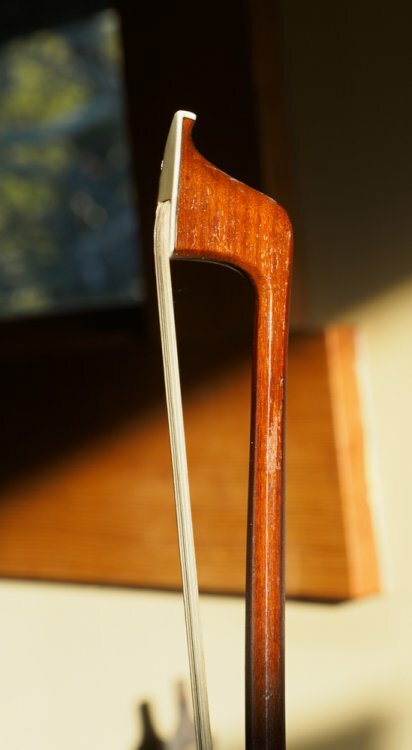 If you had read the linked thread I gave carefully, you might have noticed that Bruce Carlson (whom I'm rather trusting than other opinions) mentioned the original paper form from the Stradivari archive of the instrument as a viola d'amore with sloping shoulders. Just take another look and you might find! BTW, it's a disturbing attitude to call an 18th century maker "Tony", as if he was one of your pub mates. Besides - we are using the term of endearment on MN, in what might even be considered a cyber-pub type setting. In a formal setting, such as a public conference, museum, etc., then of course, the use of Tony might be considered inappropriate. MN = cyber-pub. That's a good one. But I doubt that name Tony even exists 300 years ago, so Master Antonio would be rather confused despite his supposed sense of humour. Ummm............ I call him "Tony Strad" occasionally in irony, to point out that in his day, he was just another top-flight working luthier like several respected members here. If he suddenly resurrected, and popped up on MN, I feel that he might be taken aback by his supposed demigod status among the Strad-worshippers. [W]e are using the term of endearment on MN, in what might even be considered a cyber-pub type setting. In a formal setting, such as a public conference, museum, etc., then of course, the use of Tony might be considered inappropriate. Yup, but he'd recognize " 'Tonio". I will take exception to that. I also call him Tony as a fond moniker - and I don' t even go to pubs. No, I won't expect you to use this name in common pub circumstances, so I never would mind you (or VdA) saying so. BTW, it's removed, by the writer or admin, don't know. LOL! Yay! Cyber-beers for everyone! Cyber-tab's on me! Call me crazy (not Tony), but I just bought this. I'll post some photos when I get it home. One thing did give me pause: there are some woodworm pinholes in the neck. I rationalized that the damage was clearly old, and the cello has been played actively in the last 20 years without breaking, so it's probably not a problem. But is there any way to get a more definitive diagnosis, short of x-rays? Congrats! One of the bows looked interesting, too. How are they? is there any way to get a more definitive diagnosis, short of x-rays? Fabulous Tom Fid, I'm sure this will not disappoint. I was intrigued by the bow with the metal face plate, would love to know what that one turns out to be. Thanks, Rossini. My hotel room's a little short on light, but there will be plenty when I get home. One of the bows - round stick - looks like a fairly modest student tool. I think it might even be painted. The other, octagonal, is interesting. It's branded SIVORI (with the trailing I barely legible) and feels quite heavy. Not a familiar name to me, but it felt good. However, I'll have to defer to my son's judgment because I only play the cello on TV. SIVORI was a brand used by the Markneukirchen trade. A couple of snapshots of the SIVORI bow follow. I was wrong about the weight - 77g, and my son found it fairly soft (not stiff). And the cello ... More when I've recovered from the 4am wakeup for the flight. 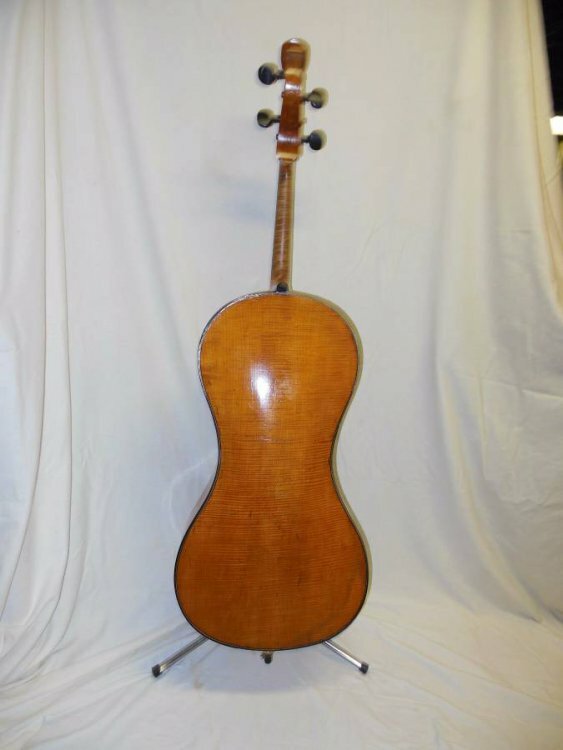 Mercifully everything went well with the cello in a seat on United. That looks very nice. 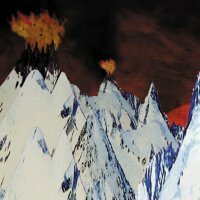 Any chance of a recording at some point? Maybe we'll call M. Chanot "Big Frankie" then. 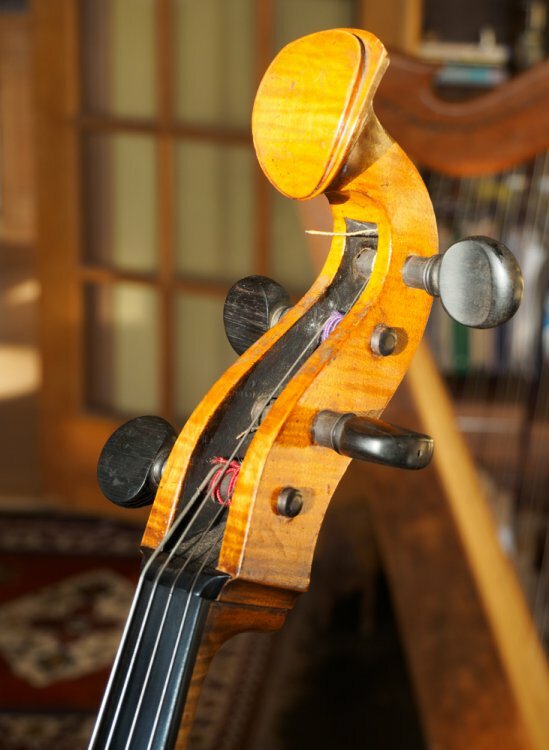 My son's report on a first trial was "that is a seriously awesome cello," which is more than I'd hoped for, especially since the setup isn't all that great. The strings are old and the soundpost looks like a bit of a hack job. We were surprised by the strong bass, given that the body is on the small side. Point of comparison is another antique, possibly German 1890s, that has a very good professional setup and sounds terrific against anything modern under $10k we've tried. It bears a George Chanot (Manchester) label that I'm pretty sure is not authentic, which is fairly ironic since I understand that the Chanots advanced the art of uplabeling quite a bit. I'll see if I can con my son into a recording. Tom, Thanks for the report! It looks really nice. You might enjoy this. 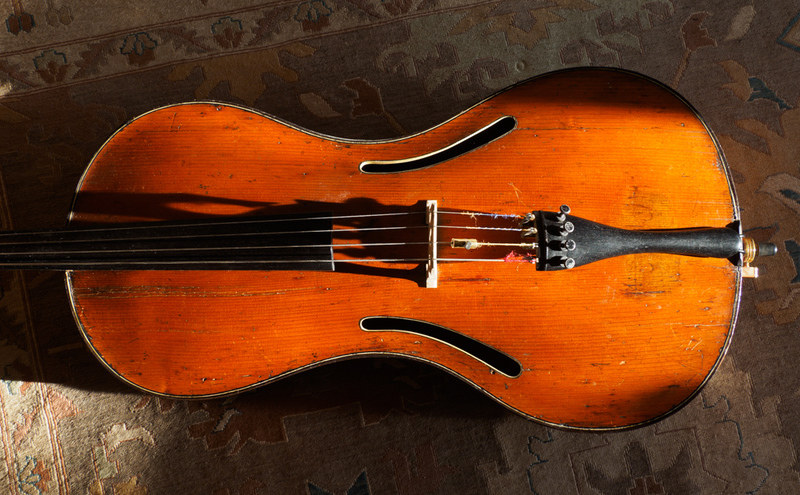 I have a copy of this Stradivari (Big Tony :-) It plays very well. The maker is working on a viola version for me at the moment. I bet with a new bridge, strings, and post it will really wake up.